Scots national poet Jackie Kay will take part in the Brontë Stones project. The Sunday Post asks her about it. Scotland’s Makar, Jackie Kay, has been asked to pen a tribute to Anne Brontë as part of a new memorial to the talented trio. The Brontë Stones project, launched next month, will celebrate the literary legacy of the world-famous Yorkshire sisters with poetry or prose carved on stones laid along the eight-mile route between the sisters’ birthplace in Thornton and the family parsonage in Haworth. Novelist Jeanette Winterson will celebrate the Brontë legacy as a whole while singer Kate Bush fittingly marks Wuthering Heights author Emily. Poet Laureate Carol Ann Duffy is providing a poem for Charlotte, who wrote Jane Eyre, while Jackie will take just 100 words to salute Anne, who most famously wrote Agnes Grey and The Tenant of Wildfell Hall, before her death at just 29 in 1849. Jackie was asked by the organisers which she’d choose and was in no doubt which sister she wanted to write a poem about. “Anne was the one who is often overlooked and is the outsider in her own family,” said Jackie, 56. “She is a feminist and is much more radical than her sisters, despite being seen as a pale reflection of them. “I first read Jane Eyre when I was 19 and then I read Wuthering Heights and then Anne’s books. That’s the order people usually do it in but they should start with Anne because her book was finished first. Each of the four has just 100 words to fit the stone. Jackie said: “It had to be very small, that was the hardest thing, but also thrilling as you are making a poem for a certain purpose. “I felt that Anne was misunderstood by her own sisters and is the only one not buried there, she’s buried in Scarborough. “I liked the idea of the stone returning Anne home and her addressing the sisters in her poem. She could be addressing Charlotte and Emily, but could also be addressing all women, the sisterhood. “‘Sisters you’ve got me wrong all the time’, is one of the lines. And I decided to have a poem within a poem, so there are some words differently emphasised and if read separately they will form their own little poem. “It’s a bit like a secret. But I’m chuffed to be given the challenge and being in such company. Jackie’s stone will be in meadow directly behind the parsonage which is a mecca for Brontë fans from all over the world. Daily Times (Pakistan) tells about a trip to Haworth and the Brontë Parsonage Museum. Leeds-list includes a trip to Haworth on a list of '25 Things You Absolutely Have to Do in West Yorkshire Before You’re 25'. Ever wanted to see the moors that inspired Wuthering Heights or the place where the famous Brontë sisters grew up? You can do it all in one day with a trip to Haworth. First, head over to the Haworth Parsonage – it’s been turned into a museum and it’s filled with a treasure trove of letters, papers and early edition novels that will give you a unique glimpse into the sisters’ lives. Afterwards, take a walk to Brontë Falls, Brontë Bridge and the Brontë Stone Chair. Io Donna (Italy) recommends several literary destinations across England. Keighley News has an article on the poor state of a footpath between West Lane and Church Street in Haworth. World Socialist Website discusses whether Philip Roth was a misogynist. This sounds like a strategy. I don’t think it was, but it may have been. As you know, you can go to dinner and there’s much to talk about but sometimes it’s also fun to share a reading or two. I also read her The Catcher in the Rye. In my past I’ve read Wuthering Heights out loud to someone. The New York Times reviews the book Futureface: A Family Mystery, an Epic Quest, and the Secret to Belonging by Alex Wagner. StarctMag has an article on the 40th anniversary of Kate Bush's Wuthering Heights. 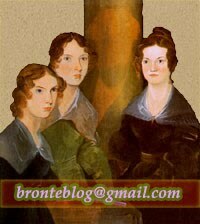 Signature Reads has compiled a list of '12 Quotes on the Innocence of Children', including one from Jane Eyre. Finally, on the Brussels Brontë Blog, Helen MacEwan writes about the recent Annual Brontë Society weekend.